ISL 2018, Chennaiyin FC vs Bengaluru FC Football Live Score Streaming: Southern rivals lock horns in the battle for supremacy. 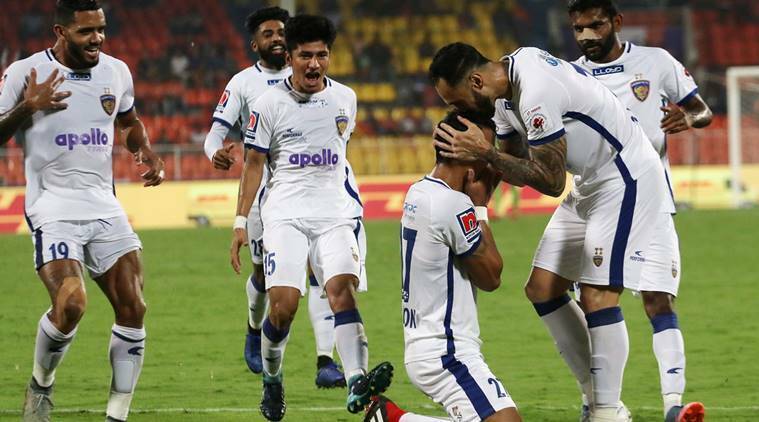 Chennaiyin FC vs Bengaluru FC Football Live Score Streaming, ISL 2018 Football Live Score Streaming Online: Chennaiyin FC battle against Bengaluru FC at Jawaharlal Nehru Stadium, Chennai on Saturday. A clash of the Southern Rivals is always one that offers excitement. A three-match ban has ruled out Mailson Alves. Bengaluru FC have a full-strength squad. Miku is expected to make it to the starting lineup. Bengaluru FC are on the top of the table with 31 points from 14 matches. 2018-19 season is now all but over as they have just 5 points in the league with only one win to show. Catch live score and updates of Chennaiyin FC vs Bengaluru FC.